Merchants can offer full amount Gift card products with full discount that includes shipping cost as well. So no customer will be able to complain about the uncovered shipping cost by there Discount vouchers. 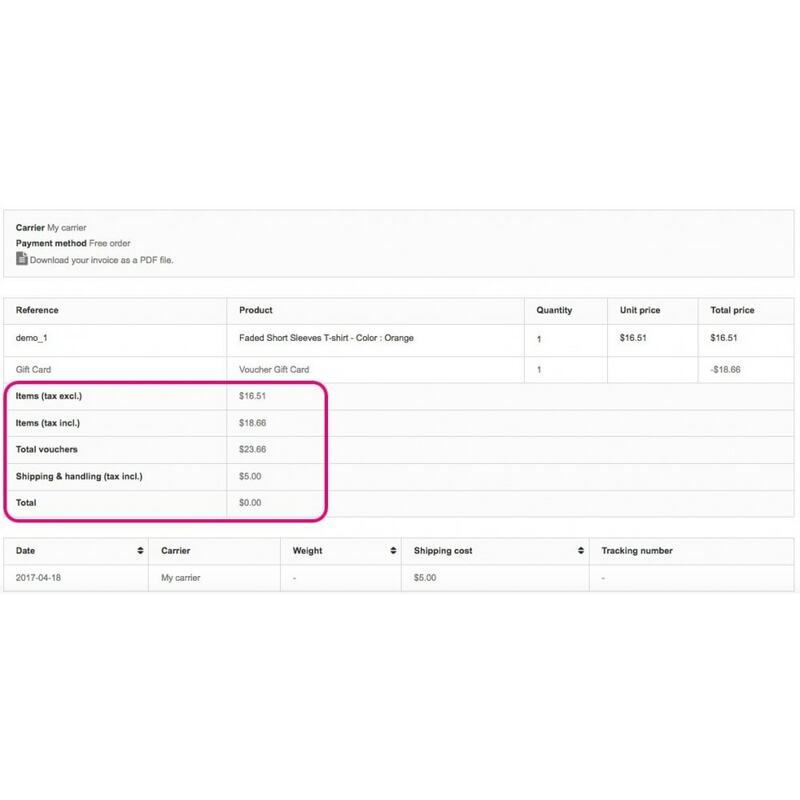 Cover Full / Partial Shipping Cost as per the discount amount. Works with all types of cart rules. 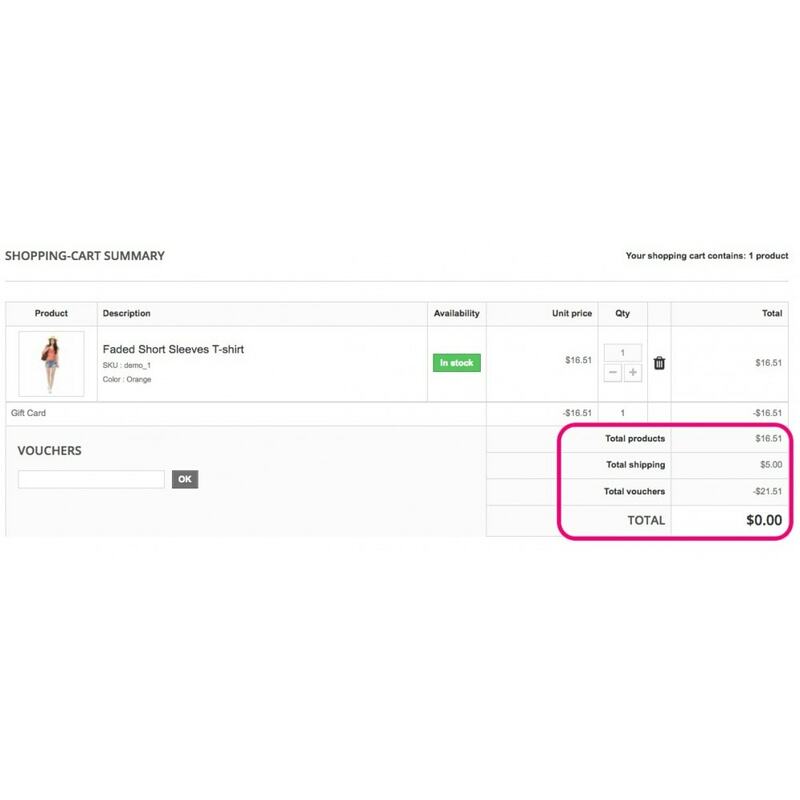 Customers will be able to create zero value orders if product total + shipping cost is less than discount amount. so if think that might be conflicting with any existing module overrides then you can message us and we'll fix this out for you. 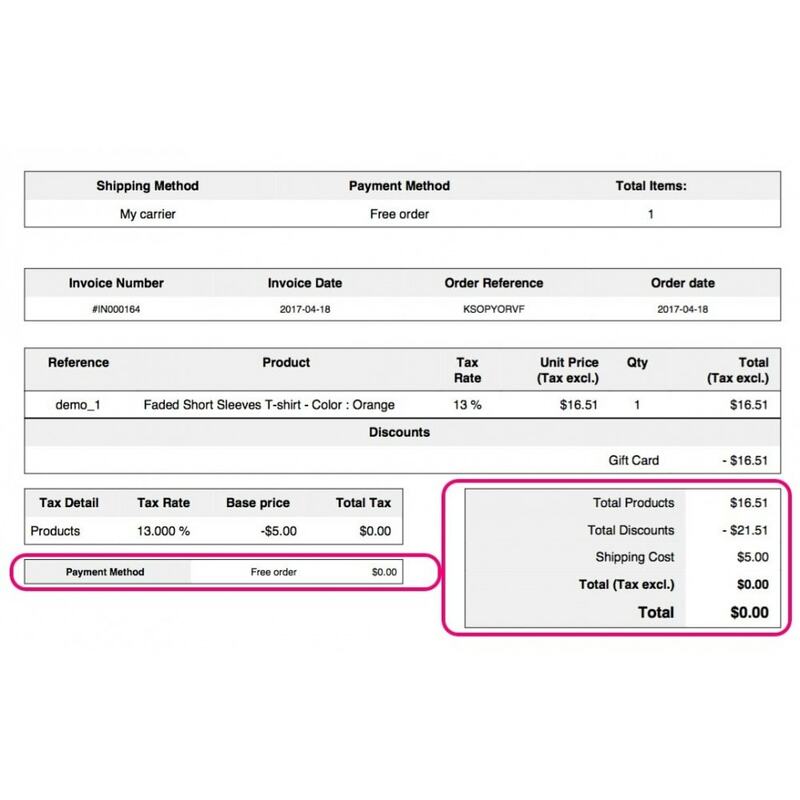 Customers will be happy when they are able to use their voucher discounts which covers their shipping costs. Just install and see the magic!! No configuration required after installation. Very responsive support for any further help.